I love my books and this is the best way for me to give them the respect they deserve. Even when I dislike a book and it happens, I'll always try to respect the writer. 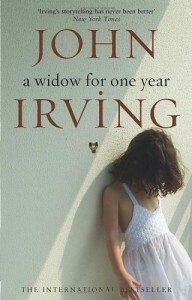 What I really liked about this book, and I always like John Irving novels was the imagery. I can't get the "feet" out of my mind.